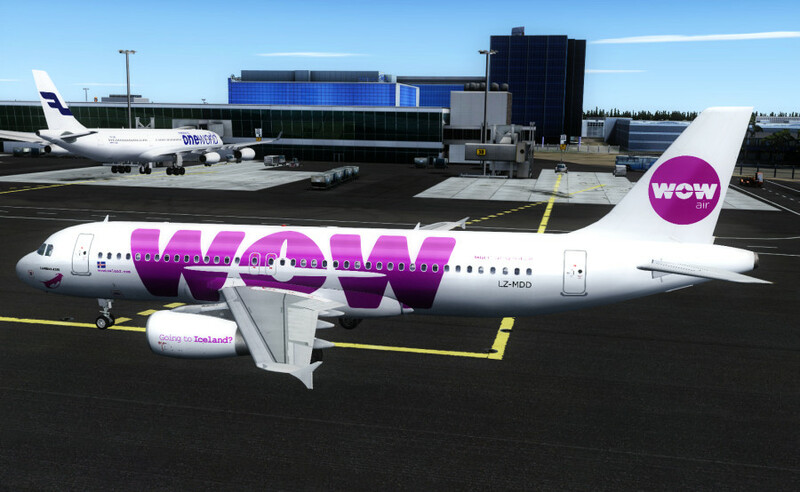 Could someone texture artist make texture of a320 of WOW AIR, a low cost airline in Iceland that fly to many countries in Europe. Hope someone will consider it , here is pictures below. Which simulator do you use? I have made HD one for FSX. If you use FS9 I can convert it and throw you a download link. I haven't published it. Camiz757 wrote: Which simulator do you use? I have made HD one for FSX. If you use FS9 I can convert it and throw you a download link. I haven't published it. can you give that livery it looks awesome! I use fs9 and it would be great if you could convert it to fs9. My email is tors@simnet.is, would be very pleased to download your great texture. Big thanks! Looks really nice! Thank you. Looks very nice! Big thanks to you. Hey man this texture is for IAE engines. You might be, in any case, do have a CFM version?